xPico is a networking solution that enables Ethernet connectivity on any serial interface. This little, chip sized xPico is the smallest embedded device server in the world. It is a complete device server with a full IP stack and web server. 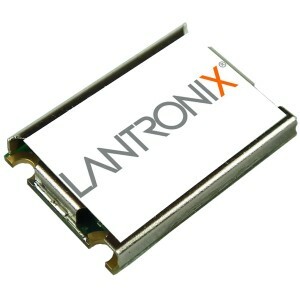 It supports serial data rates up to 921Kbps and has the same functionality and user interface of the xPort. xPico has added versatility to the xPort by removing its RJ45 circuitry. The end user can now use custom circuitry and is not bound to the xPort’s hardware components. The xPico therefore supports POE circuitry and boards that already supply an RJ45 jack and magnetics.